Chasing Coral. A healthy reef. To most of us, the oceans are alien worlds, populated by strange creatures who live in unknowable depths. Yet oceans are the source of all life on earth. They control our weather and air. They provide us with pleasure, food, raw materials to make cancer-fighting drugs. They inspire love. For all that, we’re killing the oceans and the remarkable creatures who live there. It’s a simple but tragic process: The carbon dioxide we pour into the air traps heat; 93 percent of that heat is absorbed by the oceans. (Without them, the average land temperature would be 122 degrees.) In the process, the temperature of the oceans has risen to such an extent that they’re becoming inhospitable to marine life. Chasing Coral. Shooting dead coral. Richard Vevers, founder and CEO of The Ocean Agency, knew he wanted to address the calamity unfolding below, but he didn’t quite know how. Before entering the field of ocean conversation, Vevers had spent ten years as a top London ad exec, and he’d brought this advertising mentality to The Ocean Agency. The advertising problem with oceans, he discovered, was that they’re largely out of sight—and therefore out of mind. So he formulated an ambitious goal: revealing the oceans to the world. But how best to alert a largely uncaring world to a problem they couldn’t see? 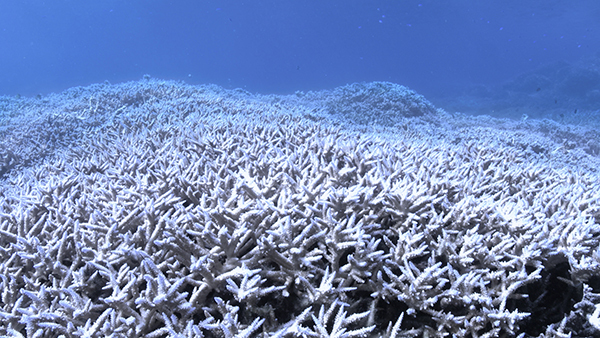 As it turns out, corals respond to rising temperatures by bleaching, or turning stark white. For an ad exec seeking to communicate the dire state of ocean affairs, that was an unfortunate response, because the white looked beautiful, not stressed. Vevers realized he needed to communicate the problem in a different way. One night, after watching Chasing Ice, the Emmy-winning documentary about the effects of climate change on the world’s glaciers, Vevers realized that the answer to his ocean problem was change: in order to move people to action, he had to show them what they were losing. And so Chasing Coral was born. Vevers brought Jeff Orlowski, director of Chasing Ice, onboard, along with an amazing crew, who would use remote-controlled underwater time-lapse photography to document the ongoing death of coral reefs. They designed and created a revolutionary photography system, in which underwater cameras manufactured with 3D printers would be placed inside transparent bubbles and situated on the ocean floor, where they would communicate wirelessly with an operator sitting in a boat. There was only one problem: the system didn’t work. Under pressure to catch the corals before they died completely, they switched to the old-fashioned method: documenting the change by hand, making twenty-five dives per day along the Great Barrier Reef. In the process, they discovered that stressed corals did more than turn a beautiful white: In their second stress response, the corals glowed, producing the equivalent of a chemical sunscreen to ward off the heat. It was as if they were screaming, in their final phase of death, Look at me. Please notice. Chasing Coral. The final death phase. 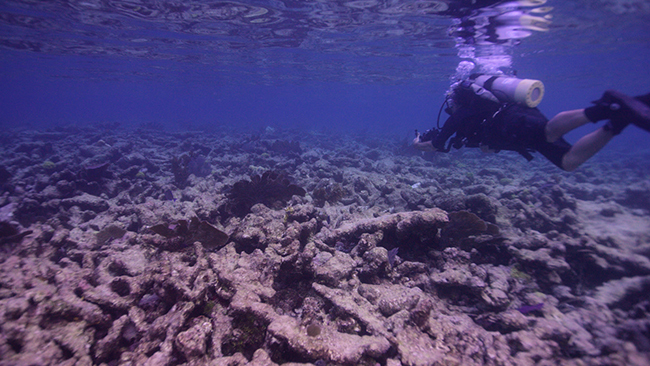 Shooting manually, the crew developed emotional ties to the reefs. Besides the utter beauty of the corals themselves and the astonishing creatures who live there, the crew’s love for the coral humanizes the reefs, giving Chasing Coral a stirring resonance. 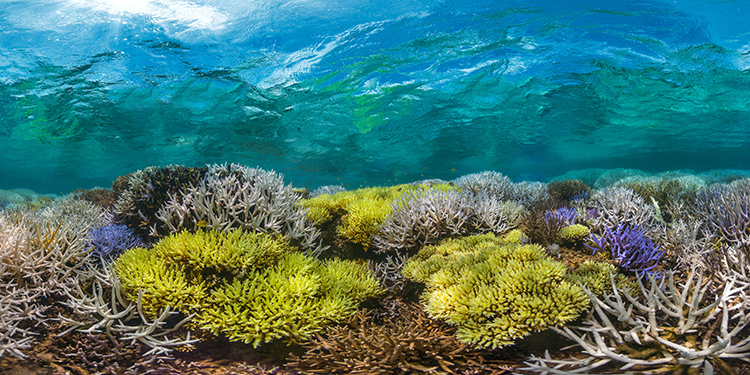 Corals, when alive, are breathtakingly beautiful. They’re enchanting, and mysterious, and life-giving. 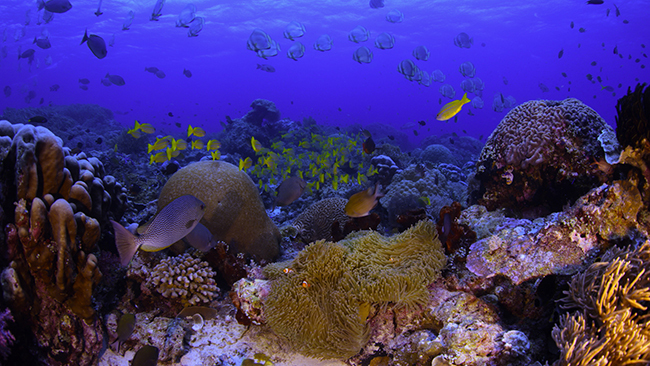 We see all of that in Chasing Coral. But they are not only objects of beauty to be admired from a distance; they’re also valued neighbors in this ecological web we share with other lifeforms. That’s in Chasing Coral, too. And that’s the part we really need to see. Go to chasingcoral.com to learn about how you can get involved.